It is said a Picture is Worth a Thousand Words. We couldn’t agree more, especially when it comes to Kirby. We’ve been photographing Kirby with his sisters since he was a little baby. I’ve always said that Kirby’s eyes tell you all you need to know about him; they are filled with humor, intelligence and buckets full of character. Kirby’s parents, Vicky and Jeff, always bring his favorite things at each session, like the year Kirby wore a metal funnel on his head a la the Tin Man and clutched his favorite book, The Wizard of Oz. Kirby’s last set of pictures were a little more understated and while I knew they’d be cute (I mean, LOOK at him!) I wasn’t prepared for the morphing of baby boy into little boy. He’s growing up, which is always a bittersweet thing. 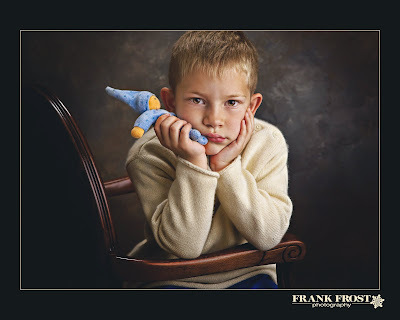 I loved Kirby’s little blue toy and opted for a very simple setting to showcase this amazing little boy still clutching one of his favorite things.